Got love for the AR-15? This pop-art inspired canvas wall print is perfect for your decor. Great for your man cave, gun vault, basement or heck, put it up in your living room for all to see (I did)! Printed on high quality 17 Mil Artist Canvas and gallery mounted on 3/4″ stretcher bars this 12″ x 18″ canvas print is one of a kind! Showing all the details of the inner workings of an AR-15. 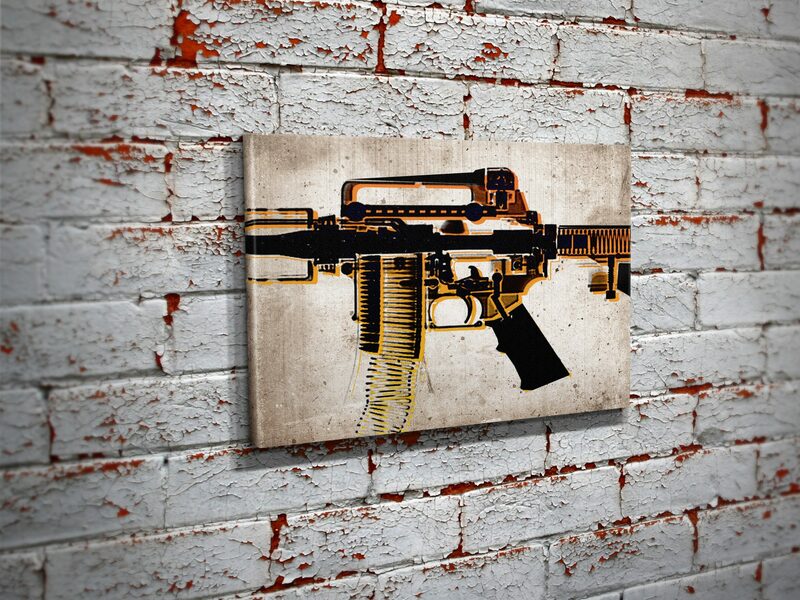 Have a specific gun you’d like to make into a pop-art piece? Maybe your own favorite firearm? Send me a message and I can make one special just for you! Got love for the AR-15? This pop-art inspired canvas wall print is perfect for your decor. 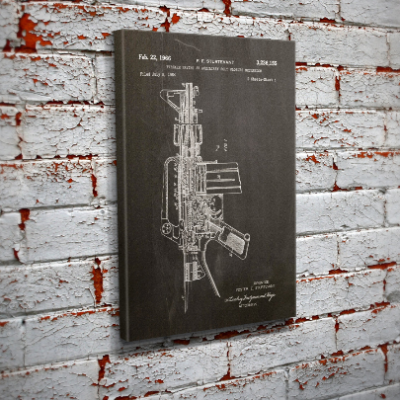 Great for your man cave, gun vault, basement or heck, put it up in your living room for all to see (I did)! Printed on high quality 17 Mil Artist Canvas and gallery mounted on 3/4″ stretcher bars this canvas print is one of a kind! Showing all the details of the inner workings of an AR-15. Have a specific gun you’d like to make into a pop-art piece? Maybe your own favorite firearm? Send me a message and I can make one special just for you!